Everyone’s favorite NPR affiliate has a hand in over a half-dozen summer concert slates at locations like Union Station and the Hammer Museum. 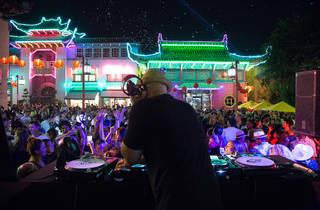 But the party-till-midnight bashes at Chinatown Central Plaza have become a particular favorite. Familiar KCRW personalities like Garth Trinidad, Travis Holcombe, Anne Litt and Jason Bentley spin the tunes at these food truck-fueled block parties. 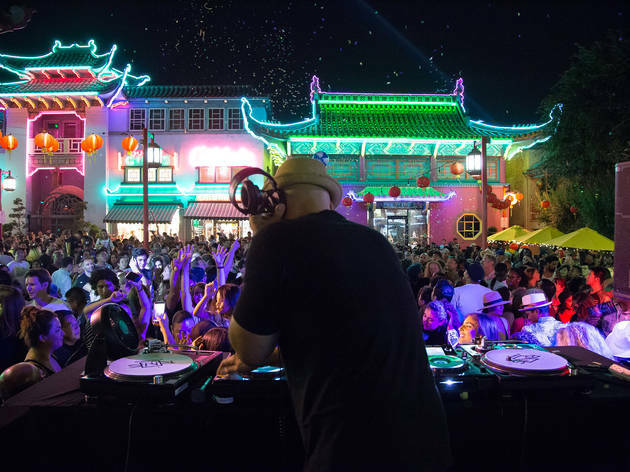 Participate in cultural workshops before busting a move on the dance floor to DJ sets and live bands. A craft beer garden, cooking demonstrations and a vintage market round out the fun to be had at this music-centric event.